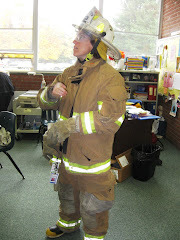 This is a blog about Deb Laskarzewski's French and Spanish classes. Click on the following links to view some You Tube videos and songs that we have been practicing in class! Los Paises Hispanos Thanks to Sophie for finding this! As the students are learning to discuss their interests in Spanish, they have created pictures illustrating what each verb means. Can you guess what these verbs mean in English? (Would the famous illustrators please step forward... come on in and autograph your work on our blog)! 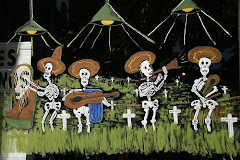 At the top of the blog is a slide show of many of the Spanish students during our Day of the Dead celebrations. We had food (much of which was homemade), and beverages, and we listened to music. Each student made a skeleton craft and we practiced puppet show conversations. Please have a family conversation about the meaning and importance of the Day of the Dead in Mexico. Thank you to those families who helped with cooking, baking, or providing any items for our celebrations! We have been working on Adopt A Country. Each person is assigned a country that is Spanish Speaking. All of the countries are either in Central or South America. We have just finished creating our maps of our country. We watched a movie on some of the countries in Central and South America. Some of them were Mexico, Guatemela and Ecuador. We have also contiued our study on weather and some activities. The advanced French class has begun e-mailing with their French pen pals. They have received a letter, and have written back beautiful letters. These letters take a lot of work on the part of the students, but they are communicating to real people, and we are able to make a lot of cultural connections. Samples will be posted soon! Congratulations to Williston Central School's own Mary Rutenbeck and Emi Borch for tying for first place in the state for the Middle School category of the Vermont Foreign Language Association's Poster contest! There were so many wonderful entries from our school alone. I was very proud of all the students who took the time to submit an entry. There were several of our entries that I'm sure were very carefully considered in the judging. Mary and Emi will be honored in February at the State House in Montpelier in a ceremony with the Governor. I will get to tag along with Mary and her parents, as well as Michele Choiniere (Emi's teacher). We are delighted to accompany such creative and talented students. I will be posting some pictures of some of the other posters soon. Mary and Emi's posters were kept by the judges for now, as they will be made into notecards and sold. I hope that the girls will remember us when they are rich and famous! Una bombera- ready to save the day!